In a bid to get buyers lining up ahead of launch, Ford Australia has detailed pricing and initial local specification for the eagerly anticipated Ranger Raptor that is scheduled to arrive in the final quarter of this year – priced from $74,990 plus on-road costs. 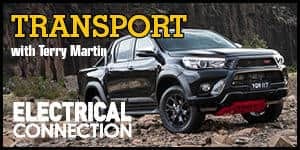 This makes it one of the most expensive one-tonne utes on the market, although the forthcoming V6-powered version of the new Mercedes X-Class is expected to push up beyond its current ceiling (with the four-cylinder launch range) of $64,500 plus on-roads. The Raptor’s asking price has apparently not dampened any enthusiasm among prospective owners, with Ford receiving plenty of pre-orders and expressions of interest in the flagship model that was jointly developed in the United States and Australia and is described as delivering “the ultimate performance experience for off-road users”. 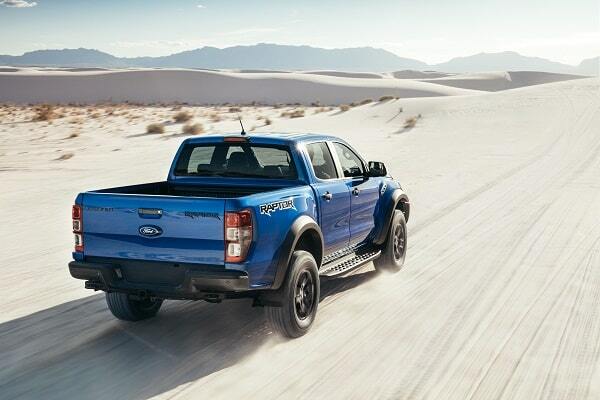 Highlights for the single-spec Raptor include its unique aggressive styling, heavy-duty side steps, skid plates and underbody protection, specially developed BF Goodrich all-terrain tyres and race-bred long-travel suspension (with ‘Fox Shox’). It has wider front and rear tracks, extra ground clearance, increased approach and departure angles and a higher wading depth (to 850mm). Power comes from a new 157kW/500Nm 2.0-litre four-cylinder twin-turbocharged diesel engine, driving through an equally new 10-speed automatic gearbox and a 4WD system with high/low range, rear diff lock and six selectable driving modes (including ‘Baja’ for high-speed off-road performance). Cabin features include exclusive leather-accented front seats, a unique instrument cluster (with its own start-up display) and a Raptor-embossed steering wheel with competition-spec ‘straight ahead’ marking.